The Department of Mathematics will host the 7th International Conference on Computational Harmonic Analysis from May 14 to 18, 2018. The conference will be held in conjunction with the 33rd Annual Shanks Lecture. Computational harmonic analysis is an area of mathematical analysis that has had a significant impact in many areas of science and engineering as well as in pure mathematics. The upcoming conference will focus on recent advances in this field. Topics will include compressed sensing, frame theory, phase retrieval, randomized algorithms, analog-to-digital conversion, convolutional neural networks, deep learning, the scattering transform, graph-based signal processing, quantum computing, wavelet theory, time-frequency analysis, sampling theory, image processing, and applications. This year’s featured Shanks Lecturer is Professor Stéphane Mallat of École Normale Supérieure. Mallat is known for his contributions to the development of wavelet theory and for his work in applied mathematics and signal processing. His Shanks Lecture, entitled “Deep Convolutional Neural Networks and Harmonic Analysis,” will be given at 2:00 p.m. on Wednesday, May 16, 2018 in Wilson Hall Room 103. 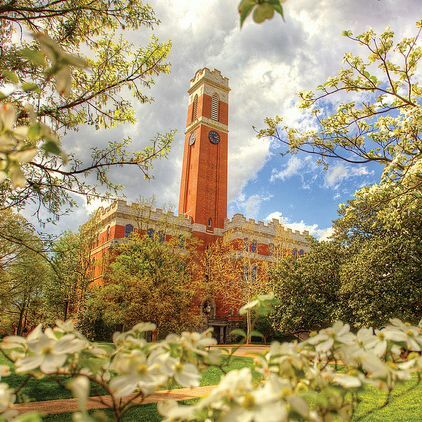 The prestigious Shanks Lecture Series is organized annually by the Department of Mathematics of Vanderbilt University in honor of Baylis and Olivia Shanks. The late Professor Baylis Shanks was chairman of the Department from 1955 through 1969. A list of previous Shanks Conferences and Lecturers can be found here. The 7th International Conference on Computational and Harmonic Analysis is supported by the National Science Foundation, Vanderbilt University, and the Shanks Endowment. The local organizers are Akram Aldroubi, Keaton Hamm, Doug Hardin, Alex Powell and Ed Saff, all of Vanderbilt University. More information is available on the conference web site.